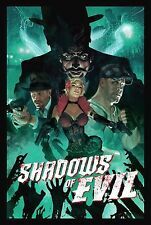 Call of Duty Black Ops 3 Shadows of Evil Zombie Poster Size 13x20" 24x36" 32x48"
Call of Duty Black Ops 4 Blood Of The Dead Zombies Poster 11x17" 13x20" 18x24"
Kotobukiya - Call of Duty Modern Warfare 2 - Captain Soap Mactavish Statue. Comes as you see. Needs to be glued back in place.and missing pick. Otherwise looks great . Condition is Very Good. Dispatched with Royal Mail 1st Class. Other drinks are currently in production as i speak, for any special orders or different requests like double tap, quick revive etc can be made also. The perfect gift for the Call Of Duty addict in your life! 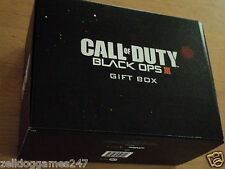 All presented in a stylish fully printed and re-usuable box this is the ultimate Call Of Duty gift! Perfect Gift. All photos shown are of the actual product that you will receive. A Superb quality wallet which is very well made. Official Wallets. Style: Bi-Fold (Unless otherwise stated). Xbox Original. Other Information. Playstation 4. Item as described. Playstation 2. Call of Duty WW2 Gift Set - Bag / Official Guide book / Badges / Lanyar / Pen. Official Lanyard with promo info cards. Drawstring badge with all CoD WWII Division badges sewn on. Made to look like an authentic war bag. A Superb quality wallet which is very well made. Official Wallets. Style: Bi-Fold (Unless otherwise stated). Xbox Original. Other Information. Item as described. Playstation 2. Nintendo 3DS. Call of Duty Black Ops 3 Zetsubou No Shima Poster Sizes 13x20" 24x36" 32x48"
Join over 95 clients who have already purchased this ! Tactical style look with MOLLE system, very comfortable padded back. 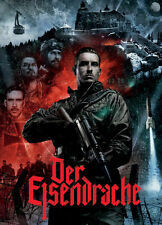 VERY RARE CALL OF DUTY. Very sturdy, solid build. High quality 3D keychain. Won’t blow up in your pocket – we promise! The Giant Call of Duty Black Ops 3 Zombies Poster Sizes - 13x20" 24x36" 32x48"
Join over 120 clients who have already purchased this ! Condition is New. Custom made. Call Of Duty Door Sign. This Fridge wrap / sticker is printed on Clear Vinyl. Need your own stickers making?. We can help. Will last for years in all weathers. not a paper sticker. Stickers can be clear coated or lacquered if required. Perfect for your Fridge. JUGGER-NOG Soda - Magnetic Bottle Opener. Comfortable, stylish, and the ideal gift for fans of the world’s biggest first-person shooter franchise! Size: 7-12 (US), 6-11 (UK), 39-46 (EU). Collectable Cable Guy Device Holder. Approx 5" Tall. Call of Duty Paracord Bracelet New and Unused. Keep the sun out of your eyes and look stylish while doing so! The perfect snapback for CoD fans! One size fits most. Call of Duty Black Ops 3 Zombie Poster Gorod Krovi Size 13x20" 24x36" 32x48"
Highly detailed green and white Modern Warfare inspired knitted pattern with a green bobble and the Call of Duty Logo embroidered on the front. 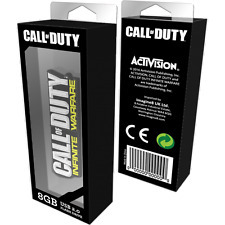 Official Activision product. 100% acrylic. Works with all models of smartphones. We're happy to help. Rubber ‘Clang Clang Bang!’. text on the side. Features the iconic Monkey Bomb item. The perfect snapback for CoD fans! CALL OF DUTY BLACK OPS LASER CEL, LIMITED EDITION - WITH CERTIFICATE! Call of Duty: Black Ops Laser Cel Brand new in sealed package! Comes with Certificate of Authenticity. We try to take good pictures of the actual items you are buying. We only accept Paypal Item will be shipped within 2 business days after receiving payment. Message me With any Questions. If you have ANY problems with your purchase NO MATTER HOW SMALL please contact us - we are VERY EASY work with and will always try to resolve any issue. Thanks for looking!! Call Of Duty Infinite Warfare Logo CAP NEW WITH TAGS. OFFICIAL Condition is New. Dispatched with Royal Mail 2nd Class. Call of Duty Black Ops 3 Reversable Beanie Hat Loot exclusive PS4 Activision. Condition is New. Dispatched with Royal Mail 2nd Class.